Back in 1988, the Arclinea project already had the objective of bringing innovation into the cooking zone. 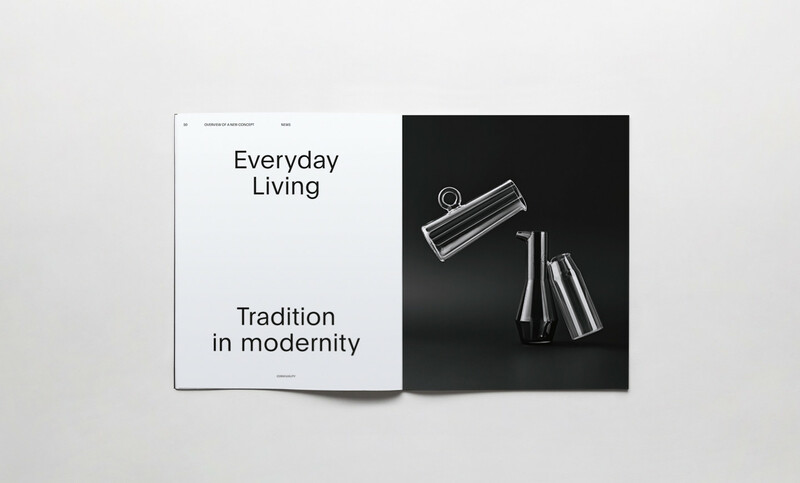 The first product symbolising a new concept was Italia by Antonio Citterio, which borrowed the materials, methods and uses of professional equipment. The aesthetics were all new, thanks to inalterable steel and its resistance to water and flame, technically worked with the precision required for optimum functional performance. 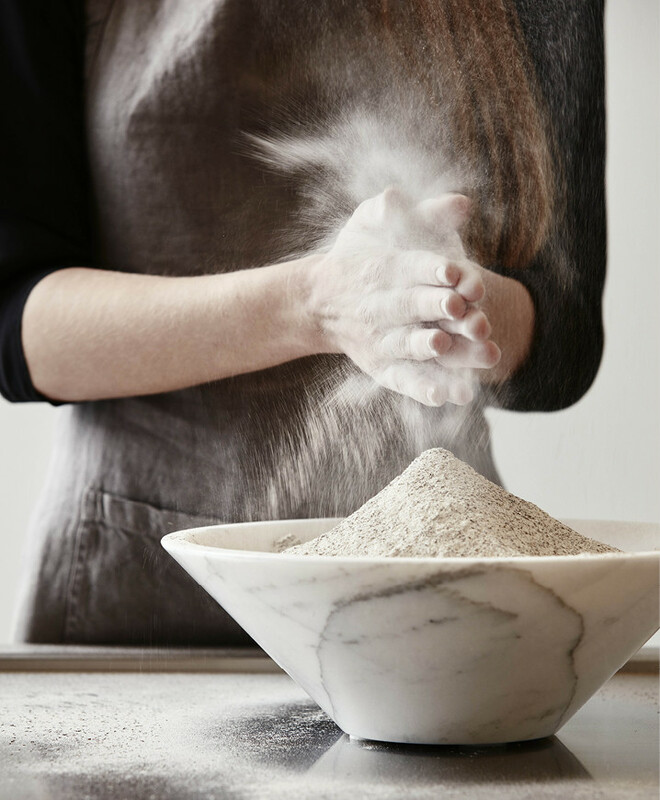 The worktops are deeper, rationalised and organised for preparation and cooking, with dedicated double sinks for food and washing up, the aim being to provide the right work tools for maximum quality results. 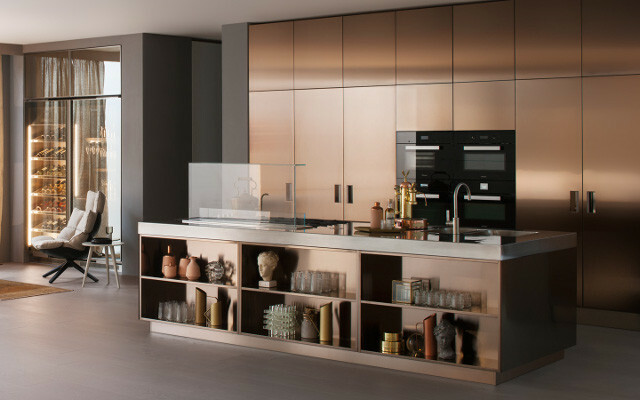 Over the years, the professional concept has expanded to include new products and has seen the addition of further technical solutions, better-performing equipment and more sophisticated finishes. 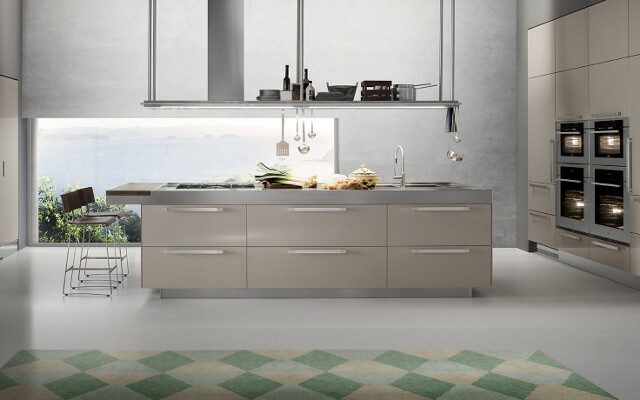 The Italia project with double operational island, accessorised wall, Isola hood with glass border and double shelf, makes highly professional kitchens a reality. 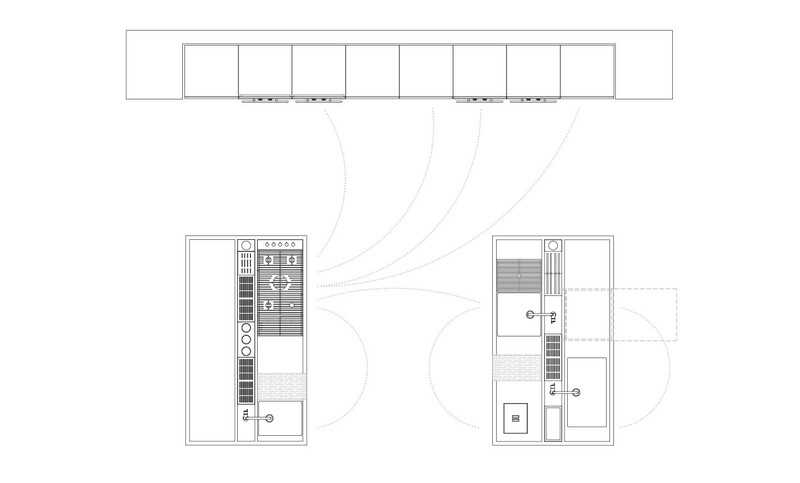 The spaces are defined by correct use of tools and perfect layout of functions. The design approach meets today's needs and embraces careful study of changing needs in terms of performance. 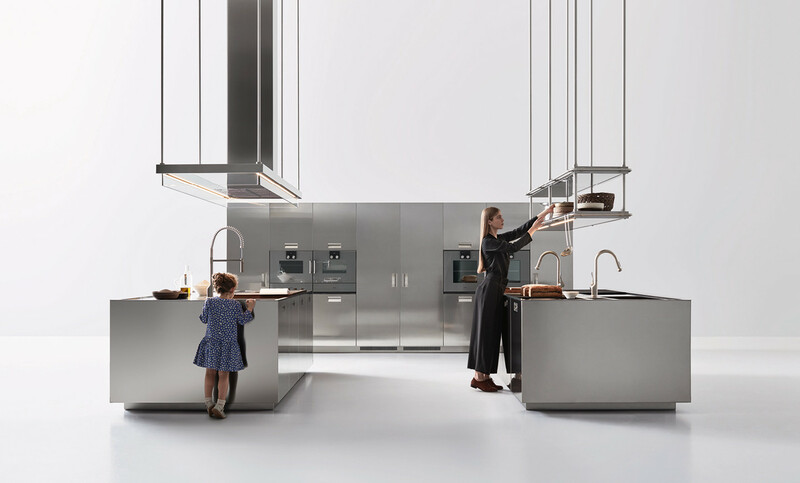 New attention is paid to details, finishes and materials: recessed worktops in stainless steel and central accessorised channel, hob with pan supports in cast iron, and built-in waste bin. Wooden chopping boards and grids in paperstone that slide to provide extra work space when and where necessary. So that first product, called Italia (thirty years old this year and still in production! 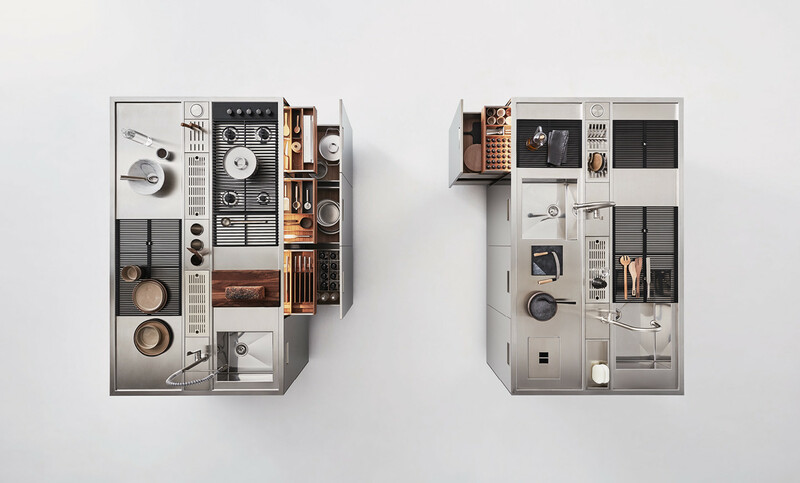 ), already featured an evident professional concept: it declared its detachment from classic “kitchen unit” technology with the use of steel. 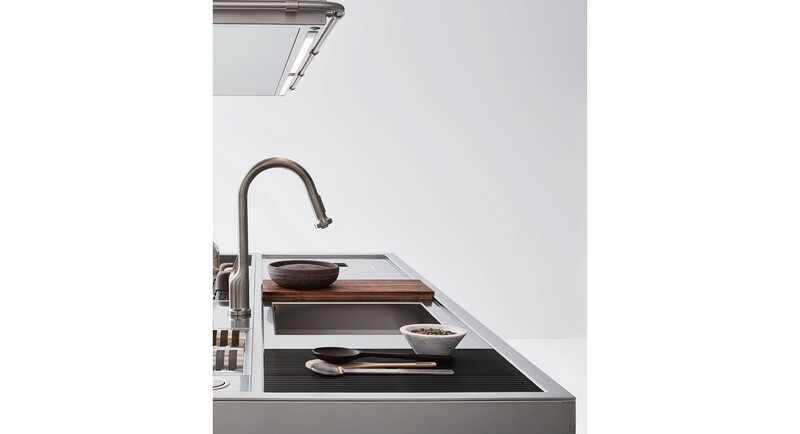 Below the professional worktops on the cooking islands in stainless steel, we introduce exclusive new internal accessories for drawers and deep drawers, in teak and stainless steel. 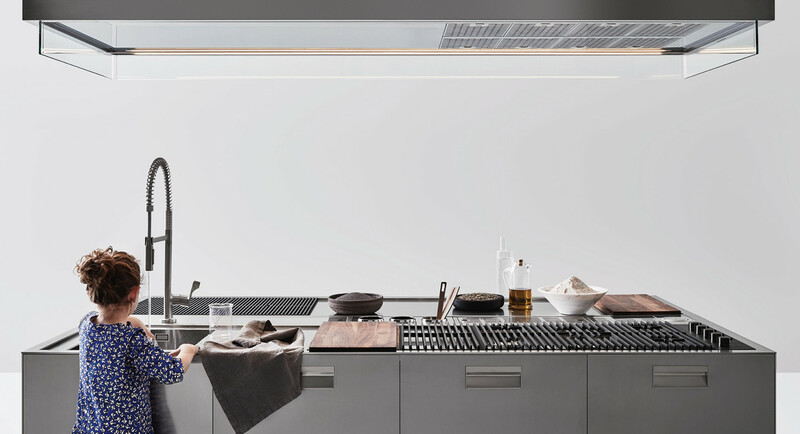 They optimise space and suggest the correct position of utensils, accessories, pots and pans: for maximum ease of access and use. 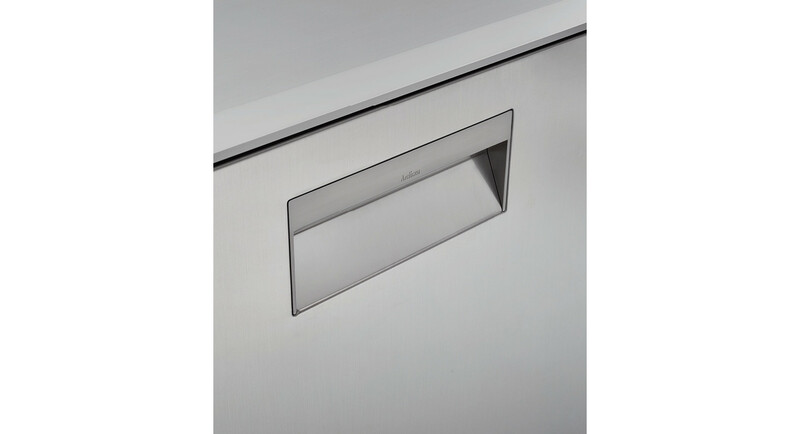 A wide range of solutions and possible internal layouts is available, starting with optimum positioning of roll holders (film, aluminium), spice rack, jars with ceramic lids, multi-purpose chopping boards, bread and cheese boards, knife holders, scales and plate holders.